When the sun goes down, Tropical North Queensland comes alive in more ways than one. In the rainforest, the night creatures come out to play – join an evening wildlife-spotting tour of Daintree and you’ll see owls, gliders and maybe even a tree kangaroo. Dine out by firelight in the middle of the rainforest at the magical Flames of the Forest experience near Port Douglas, or head to the Iron Bar (also in Port Douglas) and cheer on the cane toad races. Maybe take a sunset dinner cruise on Cairns Harbour, enjoy a performance by the famous Indigenous Tjapukai Dancers and catch their spectacular Dreamtime journey full of fire, explosions and special effects, or create a memorable night out with a romantic waterfront dinner. 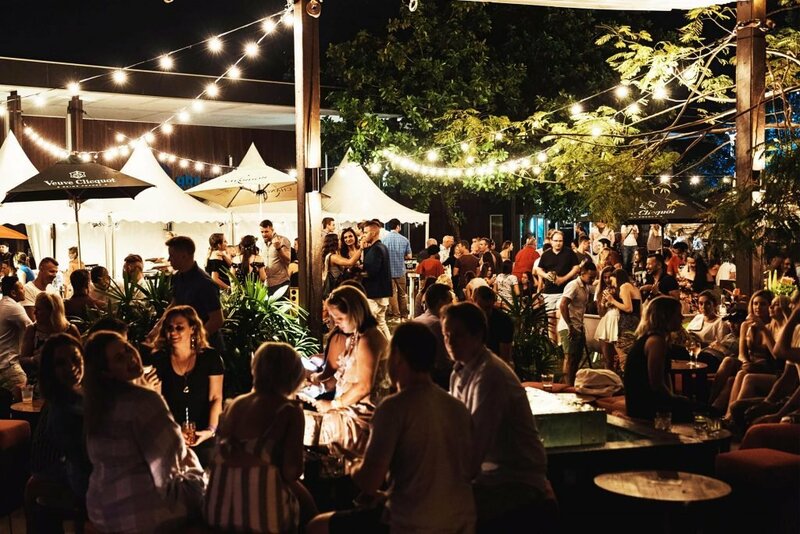 Cairns and Port Douglas are the nightlife capitals of TNQ and offer something for everyone, from chilled-out beers overlooking the marina and laneway whisky bars, to iconic pubs with tropical beer gardens and stylish underground bars with live music. Party till the sun comes up, without breaking the bank, in one of the popular backpacker spots in Cairns. For those who like to dress up, The Reef Hotel Casino offers excitement, dinner shows and gaming from 9am to 5am. Every night is party night in TNQ. Night time is the right time to enjoy the best of Tropical North Queensland. Cairns may be known as the gateway to the reef and rainforest, but don’t be fooled… the fun doesn’t stop when the sun goes down around here. In fact, you’re guaranteed a party every single night of the week in this vibrant small-town city. Find out exactly where to go in this handy nightlife guide.